This black finish Juno track lighting system live end feed accepts standard 1/2" connectors for flexible conduit from above or for an end feed in pendant system. Juno live end feed for track lighting systems. Feeds track from above with flexible conduit, or end feed in pendant system. Accepts standard 1/2" connectors. Black finish. For Juno track lighting systems. 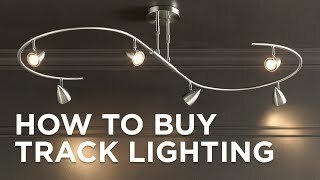 It's the cleanest way to hook up the wires to my track lighting system. how many feet will a live feed end power (how many 8' sections)? BEST ANSWER: Hi - Per the manufacturer, this is rated for 20 amps (1920 watts) and does not recommend having the run longer than 96 feet. Very pleased with compact appearance, quality and function. Operates dependably.